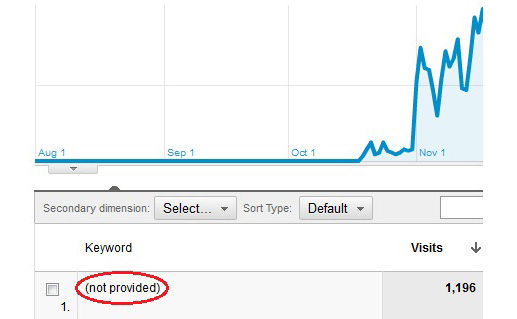 You will have seen in your recent Google Analytics Reports that ‘(not provided)’ is appearing as one of the top results for keyword usage. This is because of a genuine attempt by Google to make your online experience secure. Well, that’s not strictly true actually. For at least 18 months afterwards Google and various secret service groups can access this information, but we can’t. You could opt-out if you wanted to, by logging out of Google, but if you are using Google at all then the Google SSL Search is the default setting. As search becomes an increasingly customized experience, we recognize the growing importance of protecting the personalized search results we deliver. As a result, we’re enhancing our default search experience for signed-in users. Personally, I am all for privacy, but I think this is going too far, and doesn’t take into consideration the ‘ethical’ marketing view. I am happy for anyone to know what keywords I use and what I am interested in, this way I will receive more and more targeted messages that marry up with what I may want to see.